MasterSeal | Salmon Bay Sand & Gravel Co. 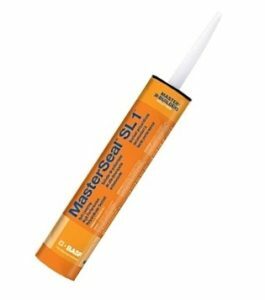 Formulated with high performance elastomers, MasterSeal joint sealants ensure outstanding weatherproofing and protection against the extreme conditions found in construction and renovation projects. 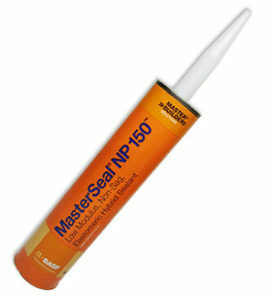 Salmon Bay sells MasterSeal NP 1, NP 150, and SL 1 joint sealants. 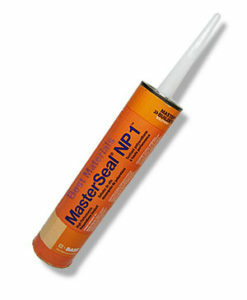 One-component, elastomeric, gun-grade polyurethane sealant requires no mixing, helping to reduce labor costs. Joint movement capability ±35% provides excellent flexibility for keeping moving joints weathertight. Easy to gun and tool, speeding up application and making neater joints. Typically requires no priming to bond to many materials, including concrete and masonry. Low-modulus, non-sag, elastomeric, hybrid sealant with superior adhesion. Excellent performance produces a long-lasting bond, helping to reduce call backs. Low modulus to accommodate for joint movement (100% extension in EIFS joints with little stress on bond line). NP 150 can be painted with elastomeric coatings soon after installation. Fast curing Non-staining formula is suitable for use on stone and other sensitive substrates. One-component elastomeric, self-leveling polyurethane sealant designed for expansion joints in concrete floors and decks. Use it where flexibility as well as abrasion and puncture resistance are required. Movement capability of ±25% allows expansion and contraction with joint movement.